Our stylish women-yoga bra tops give you the support you need in your yoga practice. To find the right size for you, our table of sizes will help you. 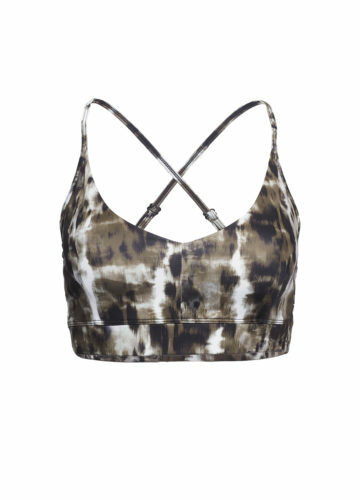 Find your matching Bra Top in our shop! Refined straps details and the perfect fit make the ladies yoga bra tops by Kismet. Fit and material support you in every asana and give you a good body feeling. All bra tops by Kismet can be beautifully styled and combined with all Kismet yoga tank tops and KIsmet yoga leggings. Find your personal look and feel well on the mat and afterwards. Kismet Yogastyle combines fashion demand and functionality in a unique way.